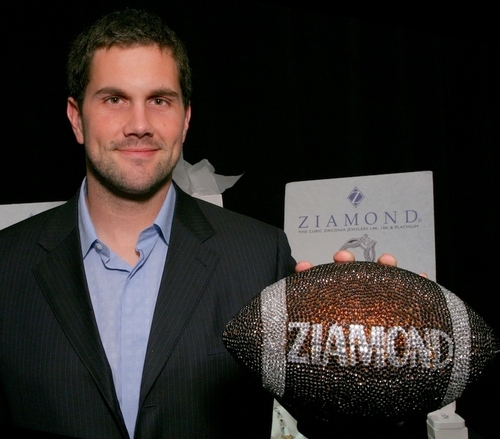 Matt Leinart, professional football player, visited us at Ziamond Cubic Zirconia CZ Jewelers of gold and platinum jewelry. Ziamond Cubic Zirconia CZ Jewelers features a variety of styles and designs of cubic zirconia cz jewelry including rings, earrings, bracelets, necklaces and pendants. All Ziamond cubic zirconia cz jewelry is set in 14k gold, 18k gold and platinum mountings. Ziamond Cubic Zirconia CZ Jewelers welcomes professional football player Matt Leinart to view our fabulous collection.